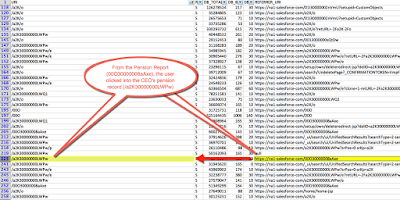 Who saw the CEO's pension record? why is it important to track this? 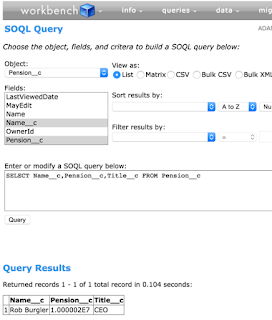 do you need to know every / any place where the data was 'seen' like a report view, list view, search result, API query, lookup, or any of the other ways you can access data on the platform or just when they drill into the record detail (e.g. 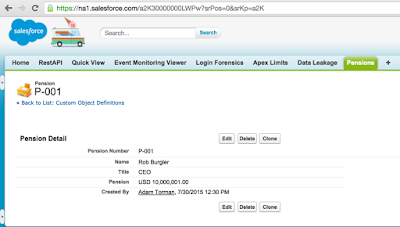 is it sufficient to just track who clicked into the record)? what data did they see when they saw the record; in particular did they see PII (personally identifiable information) or sensitive (salary, amount invested, diagnosis, etc...) data? what did they do with the data after they saw it? most importantly, once they have this information, what will they do with it? Take an employee to court, terminate, put them up on a wall of shame, document for a regulator? These are difficult questions. 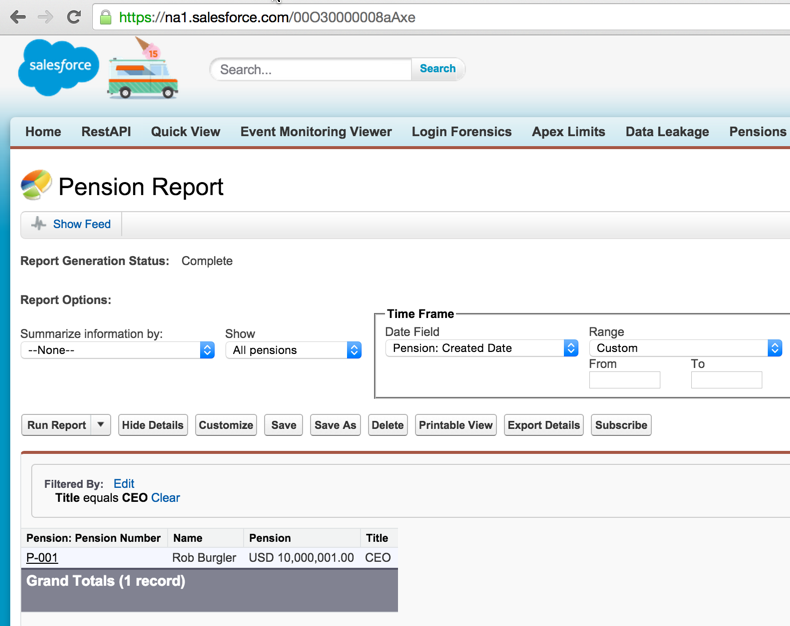 Regardless of the answers, there are a lot of things Event Monitoring can do to help with this use case. 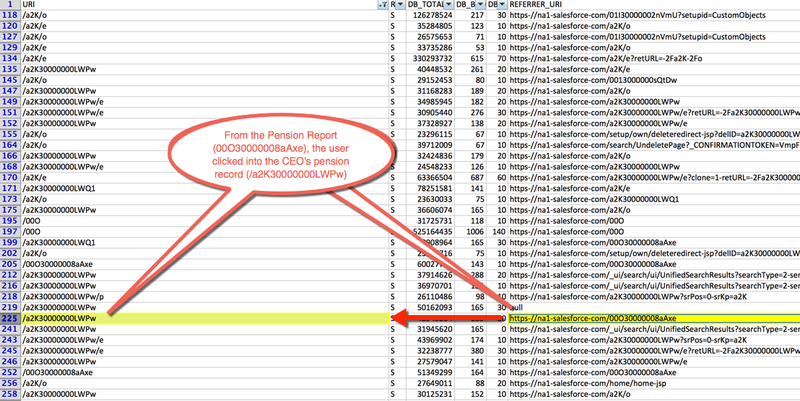 Since the primary case was answering who saw the CEO's pension record, lets walk through that example with Event Monitoring. It starts with a record id. Did you ever notice that when you view a record, the browser address bar shows the record id? 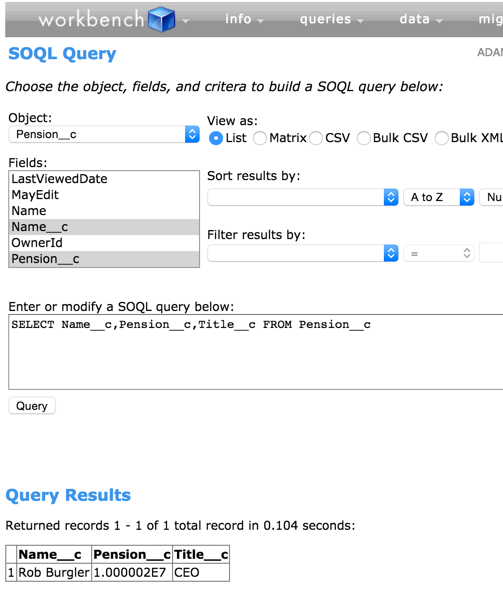 A record id is an immutable (which means it can't be edited), fifteen character, unique record locator. Because it never changes, you can always find the record it belongs to. All you have to do is drop it in the address bar or use the API to query based on the id. That way, even if you rename the record, we'll always be able to track down the original easily. As a result, every time a user clicks into a record, we capture that id in the address bar. It's possible we capture more information as well, for instance, whether the record was transferred, edited, cloned, or printed. The key here is that there has to be a server interaction that changes the address in the browser address bar. So if you click a link that only changes something in the browser, we won't capture it. 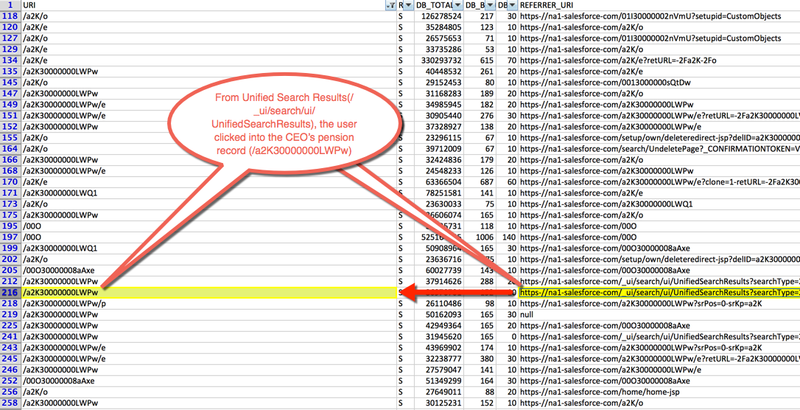 But if the screen refreshes with a new link in the address bar, chances are we've captured it in the URI log file. 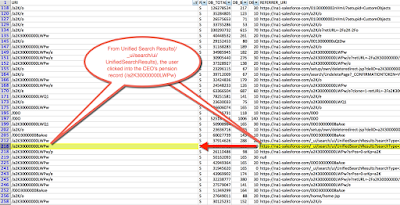 We'll track that the report was accessed in both the Report and URI log files, but we won't list the records that were viewed like the CEO's pension record. However, if the user clicked into the record from the report, we'll capture the click through. 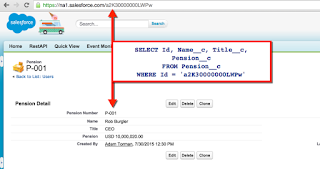 Event Monitoring captures a lot of data for many different use cases. Understanding specifically what it captures from what it doesn't helps ensure we meet the right use case each time.